Every so often, a library releases a visual identity that people (besides yours truly) actually sit up and pay attention to. Sometimes, it’s because the brand is outside-the-box of typical library branding. Other times, it’s because the community has bigger issues on their mind (like money). Finally –and that brings us to the Library of Congress– there are genuine head-scratchers. As in, what were they thinking? Let’s see if we can find out. “Our view here at the Library of Congress is the image of a treasure chest, filled with limitless information and services, ready to explore and amaze if you open it up. 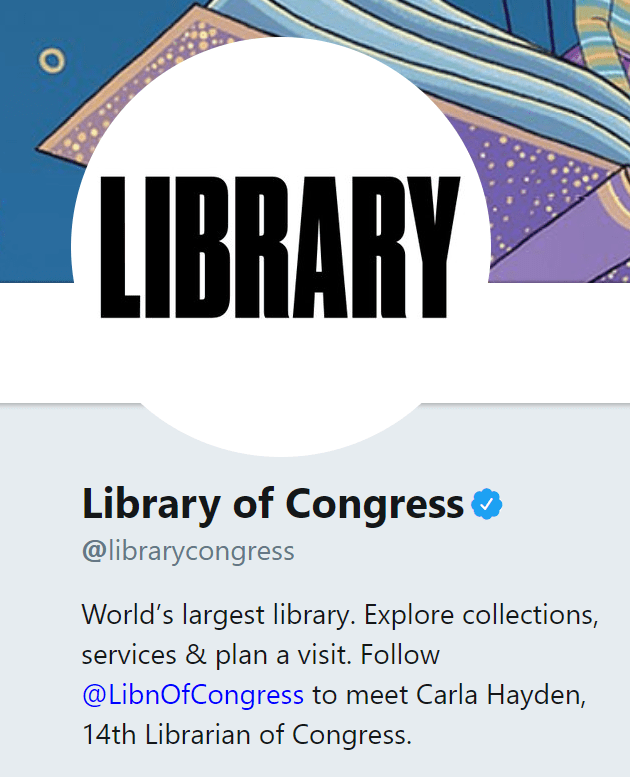 Basically, that means that the word LIBRARY and the full name LIBRARY OF CONGRESS (both in all-caps, you’ll note) can be placed above, below, and inside one another, depending on the need (see the logo lockups, below). 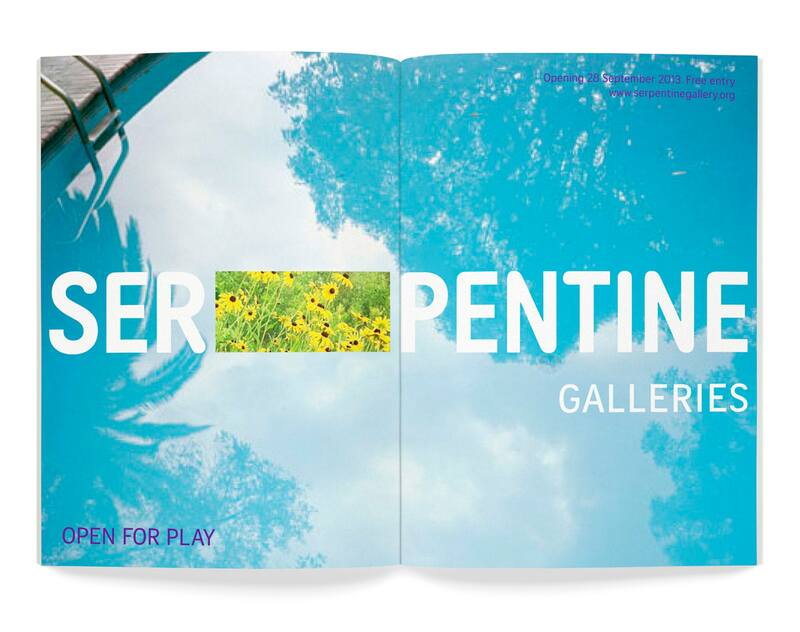 Below: Brand implementations include publications, the website, and various merchandise (Source: Pentagram). The designer, Paula Scher, notes in Quartz, “The images of what is contained within ‘Library’ are front and center, part of the logo design and infinitely changeable”. The goal is to emphasize all the items and services the Library of Congress has to offer, making it more transparent to the public. 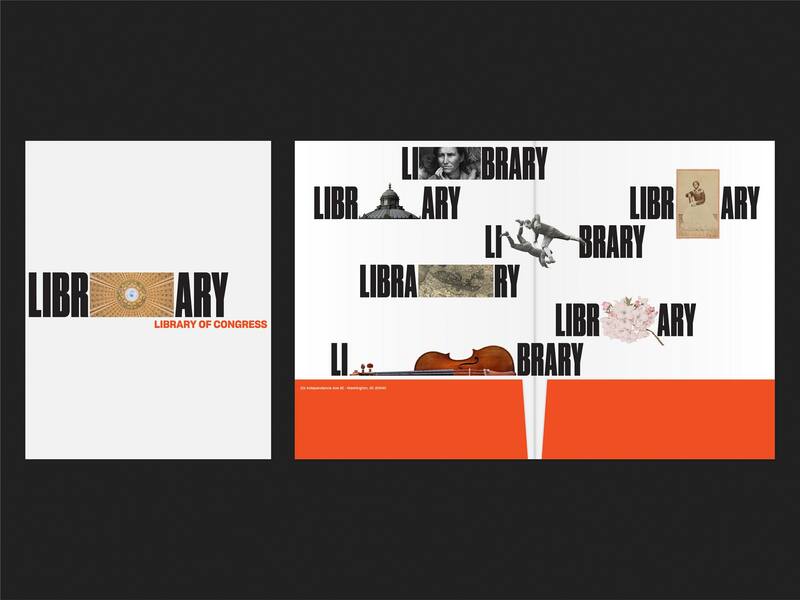 Above: The LIBRARY wordmark with objects and photos inserted within (Source: Pentagram). Leaving aside the wordmark itself for a moment, I think the use of Druk Condensed Super for titles and website headings looks fairly striking – something you might see in a chic museum instead of a library. The Druk font (originally designed by Berton Hasebe in 2011 for the magazine Bloomberg Businessweek) has a distinctly mid-century vibe about it; it evokes a certain nostalgia, further heightened by the pairing with orange. I showed this to my husband and the first thing he said was "Is this satire?" Combined, the overall aesthetic is on that seems to be looking to the past, not the future. I’m not sure I have much more to add to this, other than to echo what other commenters have already said. To me, this design is a total throwback. I’m really drawn to mid-century design aesthetic, but even I have to admit that this is at odds with what Carla Hayden says herself about the direction of the Library of Congress: “A fresh visual identity is intended to signal that something new is happening here, and we want you to be a part of it.” On its own, it’s not clear this signals something new, or as Meryl Friedman notes above, “the overall aesthetic is on[e] that seems to be looking to the past, not the future”. 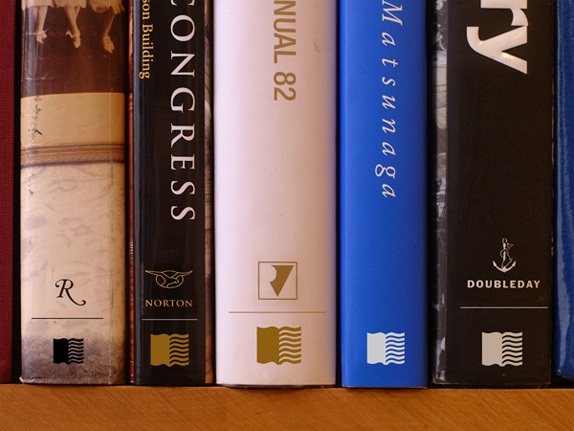 While I’m not necessarily a fan of library logos that lean too heavily on the book shape, it makes a ton of sense for the venerable Library of Congress. It is, after all, the biggest library in the world, though I’ve been corrected about it holding every published US work. Also, while the logotype was uninspired, the flag/book logo had an instant iconic nature. It could recognizably stand alone, while also looking classic on book spines, below (Source: Brand New). It’s hard to imagine the new LIBRARY logo in the same context. With the emphasis on the word LIBRARY, often used all by itself, the Library of Congress seems to be saying ‘this is our word; all you other players need to come up with your own word’. Unfortunately, when the LIBRARY wordmark is left to its own devices, like on social media, it just doesn’t work very well. Out of context, the viewer is left wondering: LIBRARY? Which library? In the end, though, we have to assume that the Library of Congress had a brief — make it bold, make it clear that we are a library that contains multitudes (more than books), de-emphasize the congressional aspects — and that the brand that was delivered met that brief. Did I miss an important opinion or a different take – let me know in the comments. I hope they make those mugs because I will totally buy one. Cringe…I liked your post, but I must state here that the Library of Congress does NOT own a copy of every book published in the United States. There are a lot of reasons for this, including the facts that copyright laws do not require deposit of every work, and that many don’t bother to register a work they’ve published. This is one of the biggest misconceptions about the Library. No need to cringe; easily corrected.